Domain transfer is more accurately described as a domain registrar transfer, because it involves the transfer of the name from one registrar to another, at the request of the domain owner. Is a year added to the end of the registration period after domain transfer? Yes, your domain will be extended for another year, on top of the existing valid period you have. For example, If your domain expires in Sept 1, 2005, it will be extended to Sept 1, 2006 after the transfer. You will not lose a single day. Do I need to wait until my renewal date is closer? No. You can transfer/renew at any time and all of the existing time with your current registrar will be transferred over with your domain name. In fact, we would strongly advise you to transfer your domain to us at least 30 days prior to expiry, to avoid any unnecessary delay and taking the risk of losing it. Your domain status is not in LOCK status. Please ask your existing registrar to UNLOCK the domain, otherwise your domain cannot be transferred out. You can access the mail boxes of Registrant Contact and Admin Contact of the transfer domain. Since emails will be sent to the email addresses of Registrant Contact and Admin Contact, therefore you MUST be able to access the mail boxes and confirm the emails. You may NOT transfer a Domain Name if that name was registered or transferred within the past 60 days or if that name, or any information associated with it, is currently in dispute. What is the procedure for a domain name transfer? Sign up Domain Transfer at our website. We then submit a transfer request to transfer your domain registered with other registrars to MyGreatName.com. The domain system will send a confirmation email to the domain's administrative contact email and the domain registrant (owner) email address. Generally this email will be sent within a few hours after submitting the transfer request. We will contact your current registrar (losing registrar) about this request, and waiting for the approval. the transfer process may take approximately 10 to 14 calendar days after initiation and confirm the transfer request. We strongly suggest you to sign up your transfer request at least 30 days prior to the domain's expiry date. If a transfer fails, will I get my money back? Use your payment to register a new domain at no any additional cost. The Admin Contact's email of the domain(s) has been changed to your own email address prior to sign up. This allow us to know that the domain(s) belong to you. The Domain was NOT registered or transferred within the past 60 days. 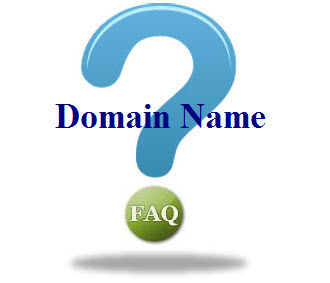 The domain, or any information associated with it, is NOT currently in dispute. The domain has at least 30 days prior to expiry date. If you did not meet the above criteria (1 - 4) at time of sign up, the payment will not be refunded. But you can still use your payment to register a new domain at no any additional cost.